Since the 14th century, the German beer steins have undergone a number of changes in their shapes, designs and the crafting materials. In the 14th century the beer drinking vessels were made of wood, earthen ware, silver and pewter. 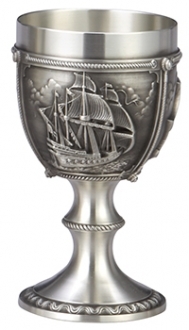 The silver and pewter mugs were expensive and could be afforded only by the affluent. The wooden and earthen beer mugs were used by the poor. They did not have lids. 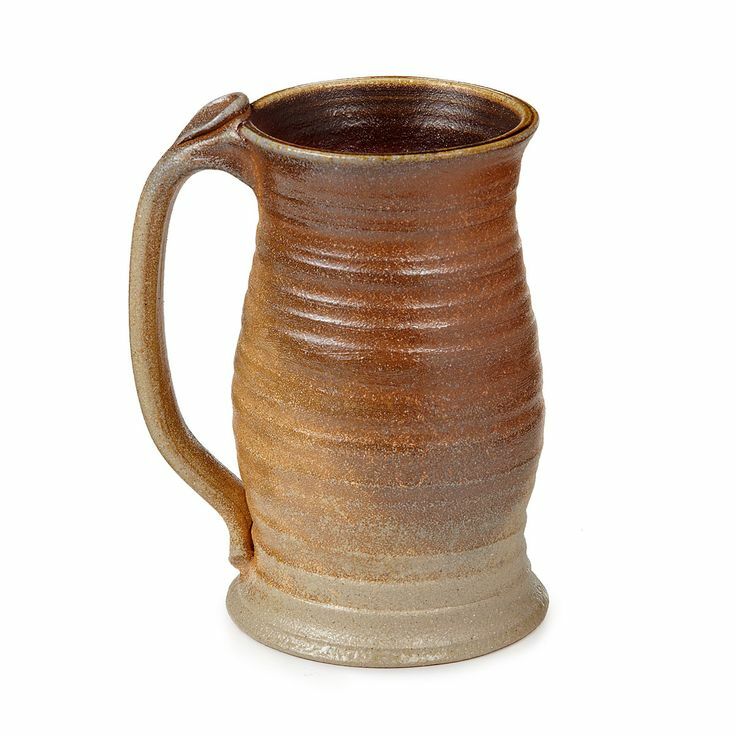 The bubonic plague that struck Europe from 1340 to 1380 brought in an important change to the beer mugs. In 1500 a law was passed in Germany that all the food containers including the beer mugs should have lids. Thus the lidded beer steins came into existence. Most of them had a dome shaped lid fitted with a thumb lever. 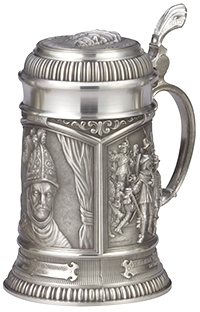 Till 1500s the beer steins were made of pewter and the pewter guilds had the monopoly over the business. But the church’s inability to prevent the plague destroyed people’s faith in the church and they began to experiment on various fields without seeking the church’s consent. 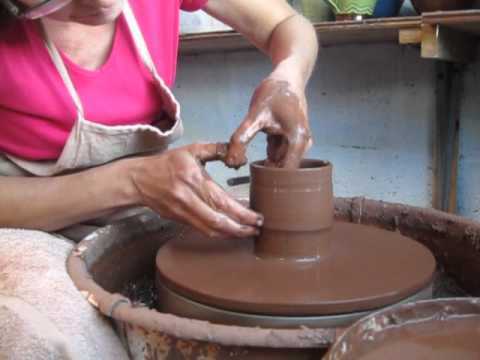 The potters then baked the earthen ware in kilns to make it stronger. It led to the creation of high temperature furnaces that removed the moisture completely from the clay and vitrified it to form a stronger material. At around this time the glass works also broke free from the church’s restrictions and created multicolored and enameled glass steins. By 1600s porcelain began to be produced by Europe due to the temporary discontinuation of Chinese porcelain export. The German glazes and the Baroque designs became popular at this time. It was the beginning of renaissance. The German cobalt oxide being pure produced bright blue color unlike the purplish Chinese blue. So by the time China resumed the export of porcelain, German porcelain steins had established their supremacy. But the stone ware was also popular. 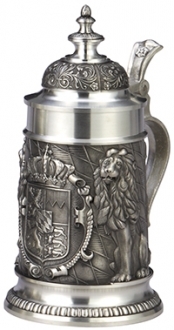 By this time every province in Germany began to produce their own beer steins with specialized characters. 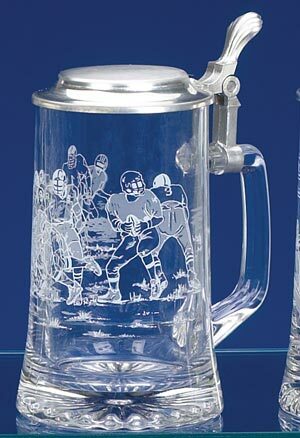 The Southern parts of the country produced wide and sturdy beer steins and the Northern Province made tall steins. The Western provinces steins were characterized by their grey color decorated with blue designs. The Eastern parts produced brown glazed vessels. 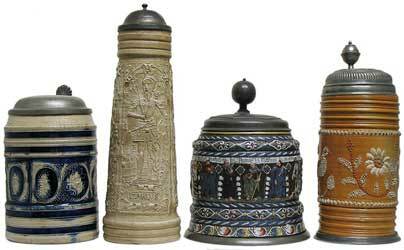 In 1700s the law of lidded containers was lifted but the lids of the German beer steins had become their integral part. In 1700s and 1800s there were a few glass industries that produced carved glass steins; but they were very few in numbers because of the difficulty to carve glass. All the same, clear glass steins that showed off the color of the beer were much preferred. In the beginning of the 19th century the expensive Baroque designs were replaced with folk art and this period is known as Biedermeier period. The latter half of the 19th century witnessed many archaeological excavations conducted in many parts of the country. These excavations revealed many examples of ancient Greek and Latin art. So the German beer steins of that time depicted many of these arts. This was termed as Historicism. The years comprising of the later part of the 19th century and the beginning of the 20th century were considered as the golden age of German beer steins. By this time the historicism also had lost its lure and people began to depict real life on the stoneware steins. This marked the beginning of the modern era. In spite of the fact that the German beer industry had suffered a setback after the golden period, by 1920 it caught up with a new interest in the antique designs and from then on the German beer steins are considered to be esteemed collectibles.